The Year of the Reader is getting a jumpstart. See Ms. Vigna or Ms. Fritz if you have questions, comments, or moments of genius! As much as I’ve loved spending all this time at home with him, I’m starting to get really excited to get back to work in the fall! So. Many. Ideas. 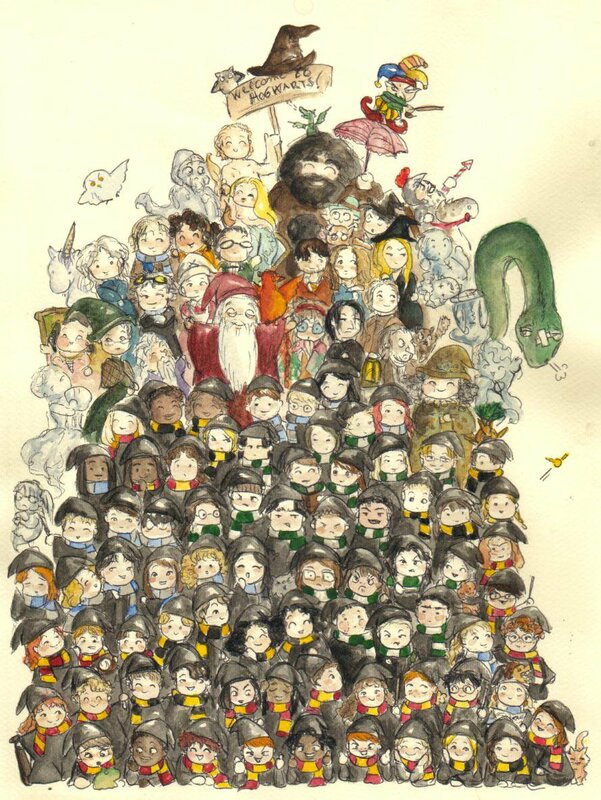 Just a little back to school fun from Hogwarts for all the Potterheads out there (can you spot your favorite characters from the series in the print above?)! It’s going to be a magical year! 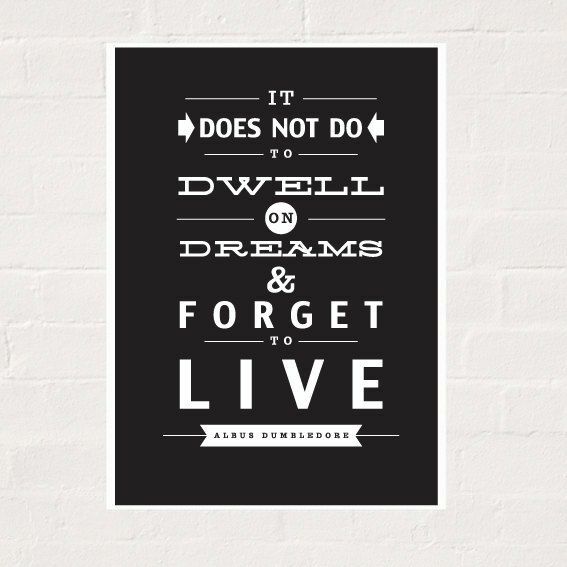 One of my favorite quotes from the entire Harry Potter series turns up in next week’s assigned chapters. See if you can find this chestnut while you read chapters 11 and 12 before Friday, July 31st. I may just have to get one of these for my office in tribute to a great line from a great (fictional) man. While gazing in the Mirror of Erised, I’m sure you viewed your “deepest, most desperate desire of our hearts” (page 213): no homework. I’m happy to make that desire your reality: no assignment this week. Happy reading, Potterheads! I really enjoyed reading all the main idea quotes you gathered for chapters 3 and 4 last week! Out of the all the replies I received as comments on the blog post or as emails, I don’t think any two quotes were the same! But that’s totally fine because you all explained your thinking. This is exactly what readers do. Bravo! So fun! So many possibilities! I was thinking we could have some fun this week. Have someone take a photo of yourself pretending to get onto Platform 9 3/4. Be creative! Use regular household items you already have like the back of a chair, a wooden spoon, or a walker, and be sneaky with how you crop your photos. Try it (carefully!) at the grocery store. If you’re traveling, borrow a cart for a quick photo op. 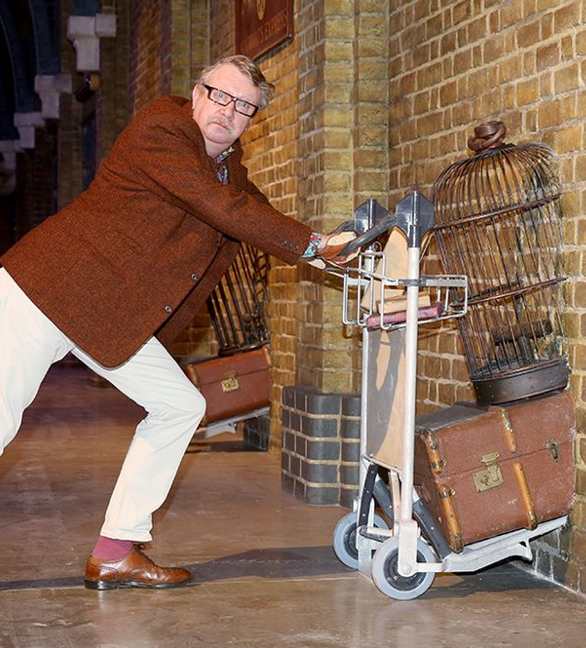 Here’s some photo inspiration of people at the real Platform 9 3/4. I especially love the photos of people jumping so it looks like they’re flying and having someone hold your scarf up in the air so it looks like you’re zooming onto the platform–so very clever! Have fun with this assignment! Email me your photos, and I’ll post them here next week! If you take the photo, but don’t want it posted online, just let me know in your email. Again, it’s not a problem if you don’t do the assignments. It is summer, after all. Just keep reading! 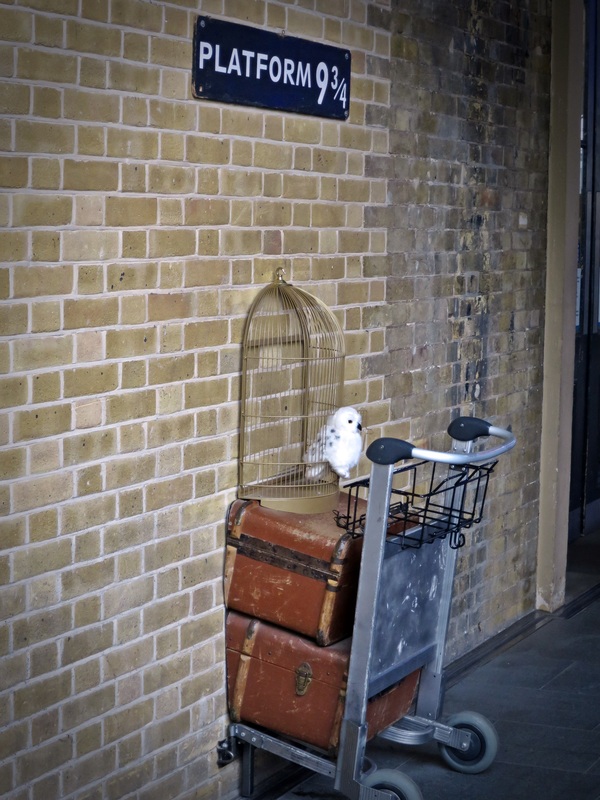 In the meantime, I’ll see if we can build our own Platform 9 3/4 at HBB and MKG! Seriously.